Avid readers (I'm sure that's all of you) may recall I moved house a few months ago. Well I can now report I'm happily settled into my new town and, more importantly, happily acquainted with most of the bookshops. 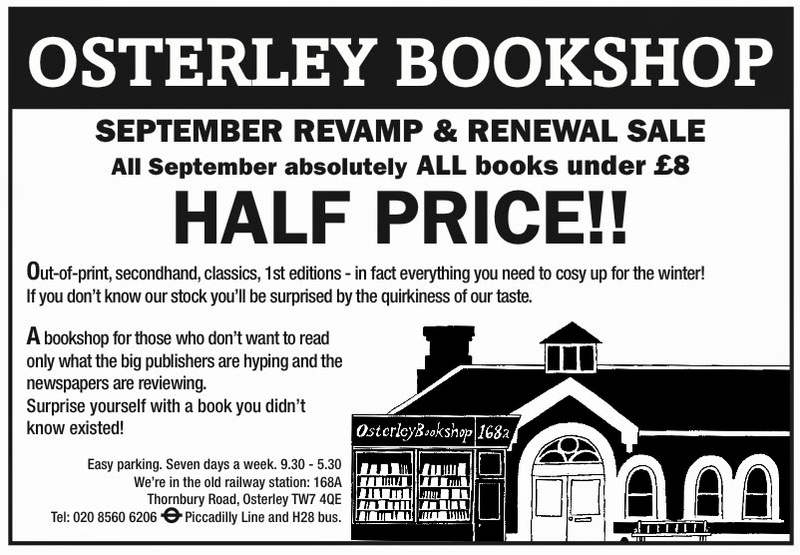 One or two you've already heard about pre-house move, but now it's time to introduce you to a third: Oxfam Bookshop, Tunbridge Wells. 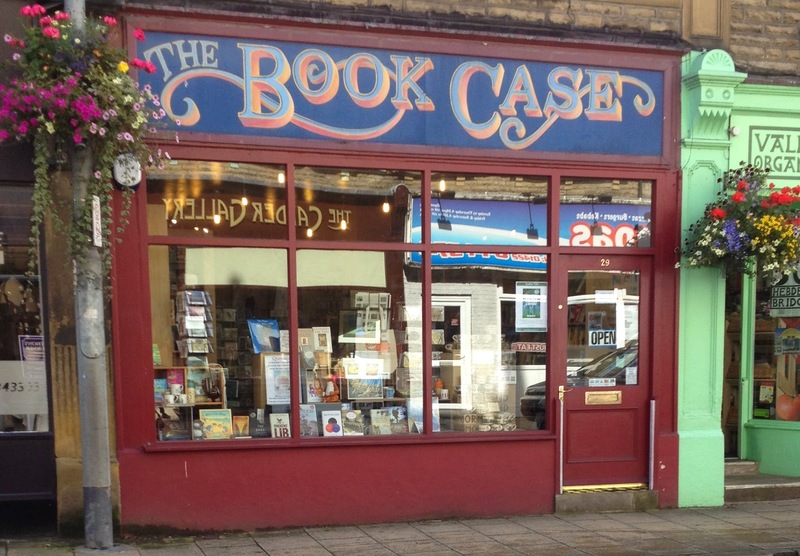 It was another such outlet that first helped me settle into my previous town, and so when I moved it was as important to me to get to know this bookshop as it was the many others nearby. And what a welcome I've had. Some people like to be recognised in their local pub or cafe, others at the corner shop, being welcomed into my local bookshop is what does it for me. I may have only lived in Tunbridge Wells a few months, but whenever I go to this bookshop I'm greeted with a smile and a friendly "Hello Erica" - every bookshop I meet is obviously welcoming, but being greeted by name adds an extra level of joy to my visit. Which is exactly what happened during my 'official' visit for the purposes of this post. I was wandering home from a food festival (feeling suitably stuffed and loaded up with local produce) when, 15 minutes before closing time, I decided to pop in on the off chance they had an obscure science fiction book I'm trying to chase down. They didn't, but what they did have was a beautiful, pristine copy of Margaret Mitchell's Gone With The Wind, a book I've long wanted to read but not yet spotted on a shelf. So long have I wanted to read this book I'd even recently bought the DVD, planning to watch it that evening. I'm not a believer in fate, but this visit definitely felt like it was meant to be. But what of the bookshop itself? Well, the first thing you notice is that it's tiny, the second is how bright and airy the place is thanks to big windows and a high ceiling. 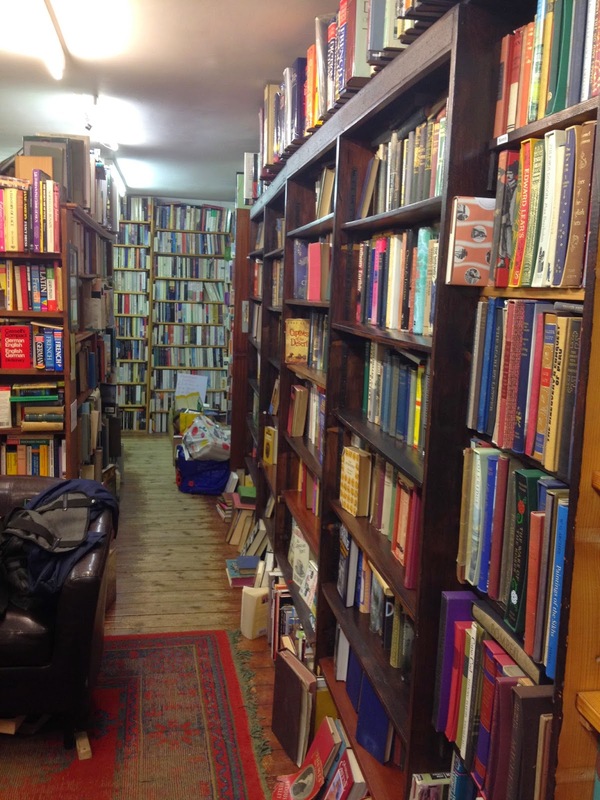 Despite its size it's well-stocked, with a window crammed with interesting covers, a wall of various types of fiction and a children's section at the back that makes you think you must've entered a Tardis it's so roomy. Throw in non-fiction, an assortment of greeting cards and a couple of friendly volunteers and you've walked the circuit of the shop in about 30 seconds. 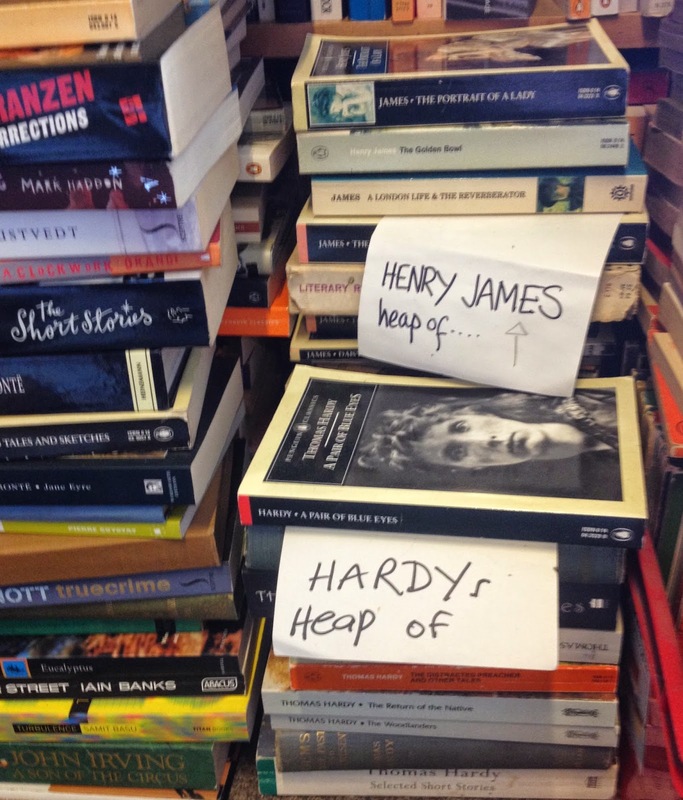 Then you pause and start looking at the books and realise what it loses in quantity it makes up for in quality - the people of Tunbridge Wells obviously have excellent taste in their donated books. As for my failure to find the sci fi novel I was after, the bookshop is sensible in its use of shelf space and doesn't have a large selection of this genre on display, but don't be afraid to ask if there's a particular book you're looking for - the manager happily went for a rummage in their store room to see what she could find for me. And while she looked out the back I loitered by the till, chatting to the volunteers and browsing an assortment of postcards to feed my Postcrossing obsession. I'm still new to the town and don't yet have many local friends I can call in on to say hello, but thanks to Oxfam Bookshop Tunbridge Wells I already feel a part of the community. I've spent most of my life visiting relatives on one particular road in Greater Manchester. The visits are generally the same. I'll realise I'm in the area, make a detour, pop round for a half hour hello and then be on my way. As the area's not far from the M60 I'll generally whizz in and out again, barely noticing anything beyond my destination and the florist where I stop to buy a friendly bunch of flowers. Until now. Because this time when I found myself headed to Barlow Moor Road I decided to take a break from my journey to explore and – despite the fact I ended up visiting at around 5pm on a Sunday – I hit gold. At least, I hit gold once I finally worked out where Didsbury Village Bookshop was hidden, out of sight from the road in a back room behind a delightful restaurant/cafe called The Art of Tea. Which, when you think about it, is the perfect place to hide a bookshop - doesn't everyone love settling down with a cuppa and a good book? 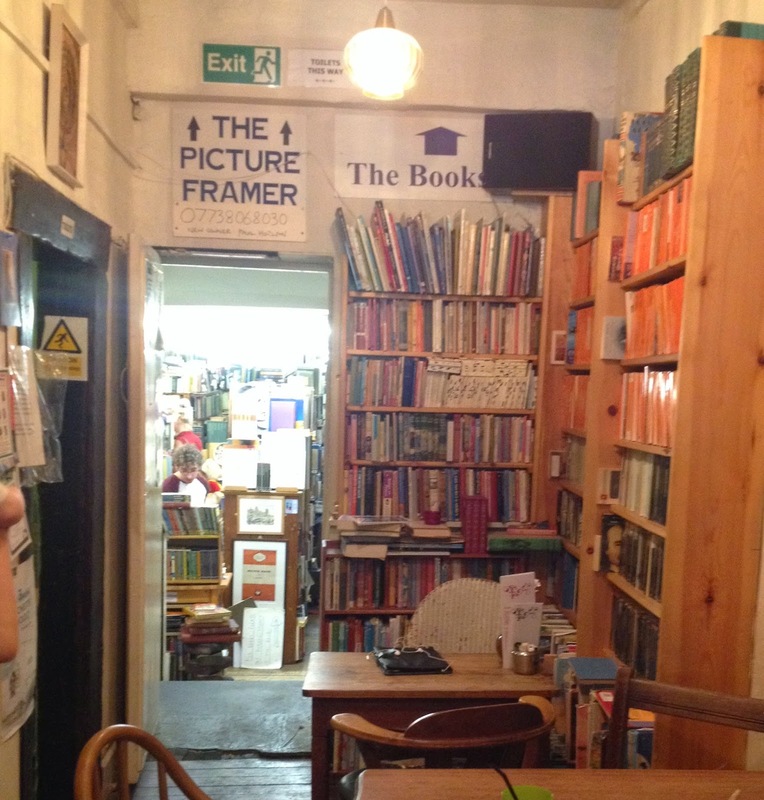 Wandering between the tables of the busy eatery, a doorway at the back of the room beckons readers down a few steps to the secondhand bookshop and, further back, picture framer. Nothing can prepare you for the size of the bookshop that awaits. 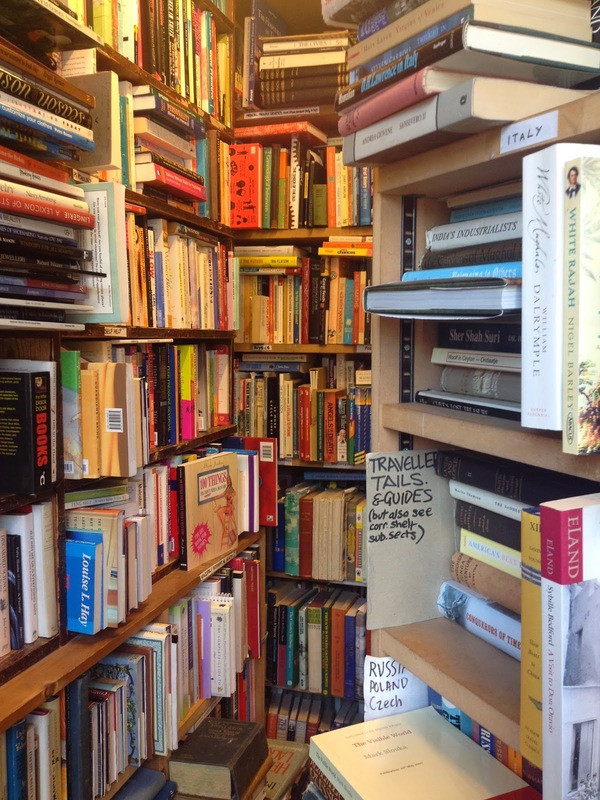 Possibly larger than the cafe it hides behind, rows of neatly stacked shelves invite you to dawdle and browse. As you'd expect, all the usual suspects of genre are found among the shelves, but if I had to name a specialist subject on this visit it was the classics. Shelved in alphabetical order but also grouped according to publisher, these make a beautiful collection surrounding the entrance and captured my attention so completely I could've happily confined my visit to the first few feet of bookshop. Venturing further in, I found more classics, non-fiction, and a wonderful array of general fiction with many complete collections of authors' works you'd only usually expect to find in a well-stocked new bookshop. And so I became overwhelmed with possible purchases. Taking my time to scan a few lines of each I was soon relaxed against a bookshelf, absorbed by my reading and enjoying the buzz of chatter and tempting food smells wafting in from the cafe. Both were at just the right level to add to the atmosphere, rather than disturb it, meaning I spent rather longer than anticipated enjoying my leisurely browsing before choosing Pure by Andrew Miller. Having arrived in the bookshop at an odd time of day I was sorry but not unsurprised to discover I'd missed the owner, but the man minding the shop was very friendly and welcoming and – as I mentioned earlier – this is an area I visit often, so I'll be sure to make a return visit at a hopefully more appropriate time of day. For now, it was good to take a break from my plans and relax in friendly, welcoming surroundings. Next time it'll be like returning to see a good friend. Every now and then I'll be asked if I have a favourite bookshop, and rather irritatingly I'll struggle to respond and will simply tell the questioner I love them all. I'm not about to choose a favourite – that would be impossible – but this week's bookshop would definitely be in my top ten. 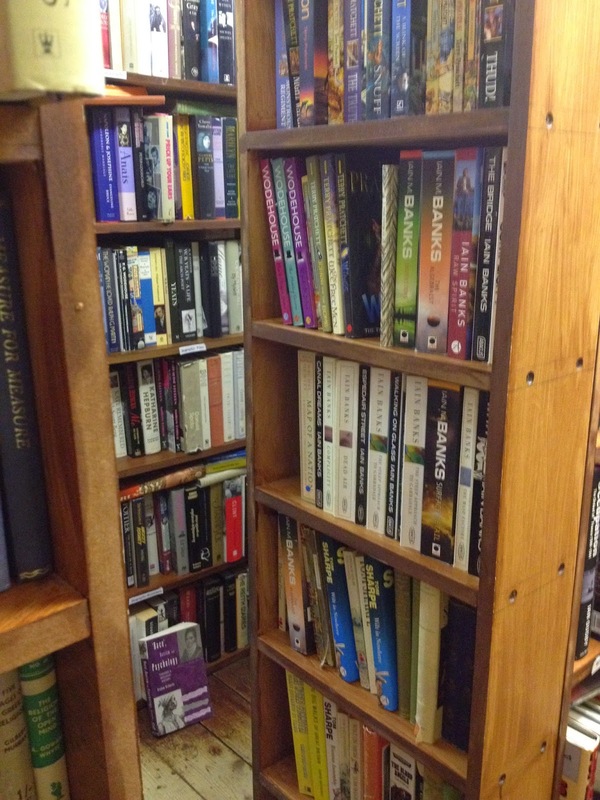 The Book Case in Hebden Bridge, West Yorkshire, is everything a small town bookshop should be. 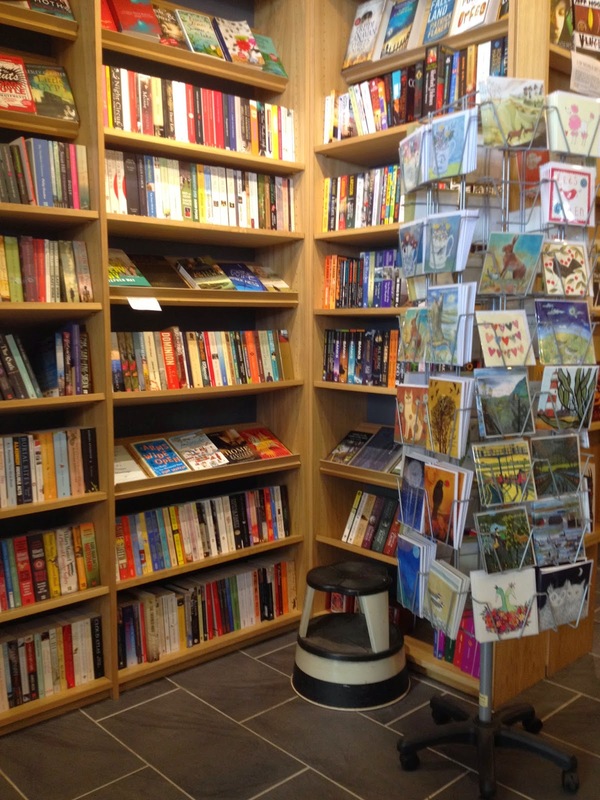 Big enough to meet the reading needs of its populace but small enough to be manageable, this bright and welcoming destination balances local interest alongside fact and fiction, with a fascinating array of featured books scattered throughout. It's all topped off with a delightful children's section at the back. Meaning I was able to lose myself at the front of the shop while my friends helped their young daughter choose a book nearby. 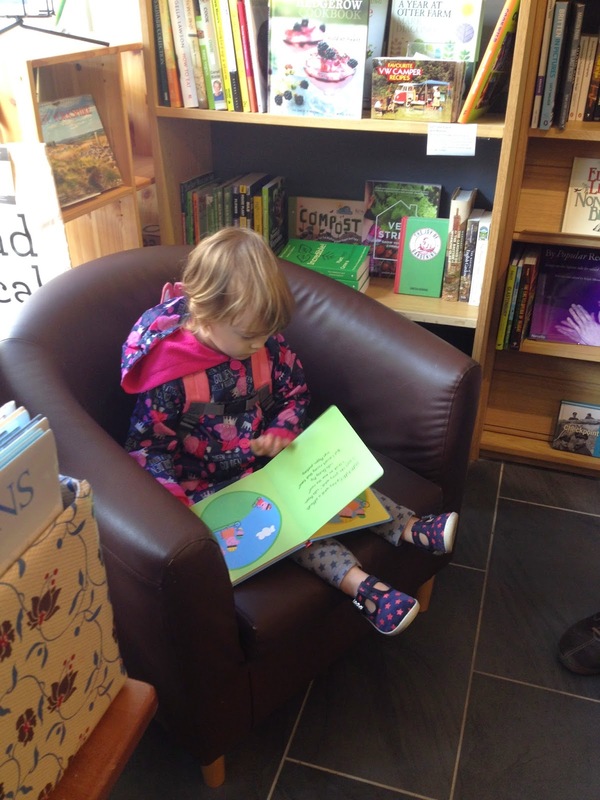 And it has to be said, there's something really lovely about the sound of a child's laughter in a bookshop. We weren't the only bookshoppers that morning, but everyone we encountered was friendly and obviously enjoyed their books and the sound of that youngster in the early stages of their reading life. And in between shoppers the bookseller was kept busy phoning more customers to let them know their orders had arrived - who needs to buy online when you've such friendly and efficient service to make the most of? On the subject of that service, the bookseller surpassed himself with his book recommendations to my friends and cheerful chatter about books, the shop and surviving the winter flooding (the thought of being under so much water and still being able to quickly bounce back is incomprehensible to me). Thankfully, the shop once again looks beautiful, with the flood a distant(ish) memory. Meaning we were able to browse and buy to our heart's content. As you can see, between us we picked up a good haul, with me finally getting my hands on a Melville House book, The Haunted Bookshop by Christopher Morley. A boutique found on a row of independent shops (I believe I only saw one chain in the whole town), The Book Case is quite simply a bookshop of loveliness surrounded by lots more independent loveliness wherever you look. We may have only been in Hebden Bridge for a couple of hours, but I'd highly recommend making a day of it and experiencing the warm welcome to be had in Yorkshire.